I consider myself a voracious reader. Growing up, I lugged countless stacks of books from my hometown library. I cannot tell you how many pages my face creased because I fell asleep while reading in bed. I was the child who snuck a flashlight under the cover so I could finish reading a book. I burned quite a few batteries (not for that reason…at least not at that age). And don’t ask how many paperbacks I’ve dropped in the bath water over the years. Who knew my elbows required that much room? Recently, I settled in for a wait at the doctor office. Hooray! A perfect opportunity to read. I search my cavernous tote bag for my iPad. Wait a minute. I know I had it when I left home. A sense of doom rolls over me quick as a dust storm. I rummage through my bag again. I can’t have lost it. Oh, Lord! Not my books. How on earth will I make it through the day without the wonderful stories I lose myself in at every opportunity? My palms dampen. Sweat trickles between my breasts. My throat constricts. I stand up, eager to escape the office and retrace my steps. Hopefully, I can locate my reader before someone else considers this his or her lucky day. I look over my shoulder. God bless her. I want to kiss her, but it is a doctor’s office. She’s probably sick. I know I am. Blood roars in my ears and I feel faint with relief. I pick up my precious piece of real estate which apparently rested on my lap beneath the huge tote. That’s it. I’m carrying a backpack from now on. When I’m finally called back to see the doctor, she kindly informs me that I have the flu. “Fantastic.” I smile from ear to ear, giving the Joker a run for his money. When the doc stares at me with a frown then writes additional notes in her file, I wonder if she’s recommending me for a psych exam. My body can fall to pieces but as long as I have my beloved stories, all is right with the world. 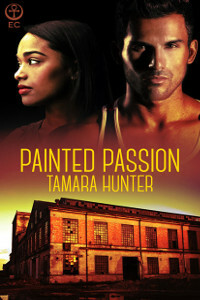 This passion for books is similar to the passion my heroine, Trella Arnold, has for painting. What do you feel passionately about? Trella’s luminous eyes searched his as if seeking reassurance. “I’m not a damsel in distress,” she muttered. Carlos cradled her face in his hands. “Far from it.” He touched his lips to the space between her arched eyebrows. The kiss was meant to be comforting, but as soon as his mouth made contact with her soft skin, his body’s wiring sputtered from shock. “I know you’re strong, but we have to be smart.” Incapable of avoiding her heat, he kissed the bridge of her nose. He needed to stop before he did something he couldn’t take back. He wanted, no needed to taste her. “No one pisses off my girl,” he whispered. He didn’t know when he began thinking of her in such a manner. He touched his lips to hers, his entire being fusing with the spirit of this amazing woman. He didn’t bother fighting what he’d wanted to do since he’d arrived yesterday. He nibbled at her softness, wishing he was feasting on every inch of her. She tensed for a second then relaxed as her mouth moved against his. She parted her lips, permitting him entrance. He groaned at her submission. She tasted of citrus fruit, juicy and luscious. The patio, the pool, the night—everything around them disappeared, leaving him aware of nothing but her. 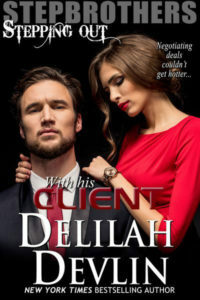 Their tongues touched and met, and the softness of hers, sliding over his, triggered an erection that spurred him on. 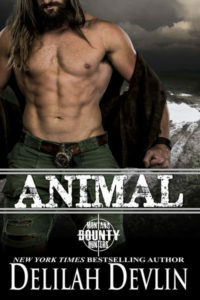 He moved his hands to her waist, lifting her off the ground, their bodies melding, pelvis to pelvis. Ever since he saw her again, kissing her had been in the back of his mind. Being around each other, it was bound to happen sooner or later. He much preferred sooner. He wanted to carry her upstairs, but the timing was wrong. He didn’t care if she kissed him out of shock. He’d take her lips on his for any reason.